AOA NSW takes EVOO to the table … of top chefs! AIOA Head Judge Shane Cummins addressed a target audience on Wednesday, talking all things EVOO with top chefs and food service influencers at an Executive Chefs Club function at Sydney’s Shangri-La Hotel. With a typically Cummins-style title - Australian Certified Extra Virgin Olive Oil ... Cooking and Health ... the better the quality the oil, the better the outcome ... and an appreciation of Tastes, Flavours and Aromas – the presentation included an EVOO tasting, shared key messages about EVOO and highlighted NSW’s OliveCare CoP EVOO brands. “We tasted, described and discussed three beautiful oils, and sent each chef back to their kitchen bearing a bottle of Australian Certified Extra Virgin Olive Oil from NSW,” Cummins said. The promotional initiative was funded by the AOA’s NSW branch, with in-kind support from member EVOO producers. NSW Director Mike Thomsett said it’s the first of a series of NSW branch activities being planned to support and promote NSW AOA members. To find out more about AOA activities in NSW and how to get involved, call Mike on 0427 373 111. Yesterday was World Water Day, an annual event focusing international attention on the importance of freshwater and sustainable management of water resources. This year’s theme, ‘Nature for Water’, explores nature-based solutions (NBS) to the water challenges we face in the 21st century. Agriculture currently accounts for 70% of global water withdrawals, mostly for irrigation, while industry takes another 20%, so this is an important topic for our industry. There’s interesting reading on NBS in the World Water Day factsheet here. A study from CSIRO’s Data61 has identified the top seven emerging industries within ASEAN and neighbouring nations that will fuel future regional growth, international collaboration and job creation. 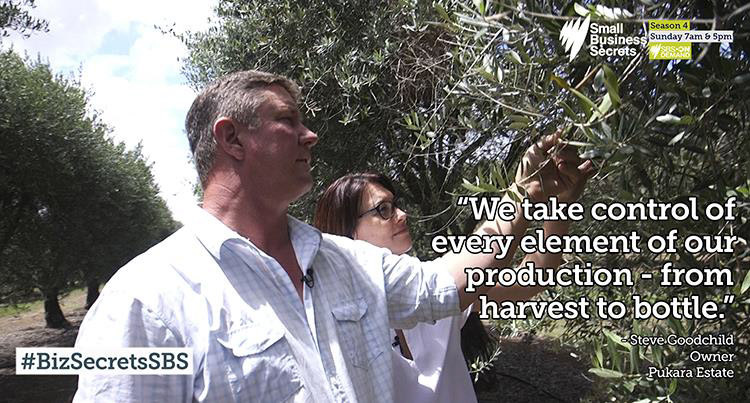 Hunter Valley producers Pukara Estate featured on the SBS series Small Business Secrets, showcasing the dedication to quality which is at the core of a successful olive business – and the reputation of Australian EVOO. You can watch the video here. A number of online sources have picked up stories announcing a new copper fungicide/bactericide in organic and conventional crop production being registered for use in the US … As with new conventional products, it will probably take some time before this product reaches registration on Australian shores. More information on organic pesticide use in Australia here. Almost three months down, just nine to go! We’re now well into 2018 with Friday Olive Extracts (FOE), bringing all the latest industry news and events to your Inbox every week. THE place to share olive industry news, event details and reminders, the weekly format introduced in 2017 has made our industry e-newsletter even more popular, and we now have nearly 4000 subscribers across the globe. If you’re not one of them, you can sign up here. Fences past it? Tracks looking sad? The Buy a Bale/Farm Rescue crew are inviting landowners to request volunteer help for work around the farm. The work schedule for 2018 is: April 8-13 Sea Lake (VIC); April 15-20 Kyabram (VIC); May 20-25 Pilliga (NSW); June 10-15 Bourke (NSW); July 15-20 Barcaldine (QLD); August 19-24 Taroom (QLD); September 16-21 Westmar (QLD); October 14-20 (SA). Book your job requests online and get more info here. The free ifarmwell farmer wellbeing website is offering $100 for farmers, or their partners, to complete an evaluation of its self-help modules. The initiative has been developed by the University of South Australia, the Freemasons Foundation Centre for Men’s Health, the University of Adelaide, the National Centre for Farmer Health and Livestock SA. More information here. Horticulture growers are asked to participate in the Australian Government’s two-year Seasonal Work Incentives Trial, encouraging seasonal workers to earn more income without affecting their income support payment. More information here. NSW farmers can take subsidised pre-approved courses through the State Government’s $45m Farm Business Skills Professional Development Program. Or farmers can apply for other professional development activities and claim reimbursement of up to 50% (GST-exclusive) up to $5000/farmer or $9000/farm business. More information here. Annual water licence fees until 30 June 2018 will be waived for Queensland producers in drought-declared areas from the date of drought declaration. More information here. The Tasmanian Government is offering interest-free loans of up to $3K for people on low incomes who want to start or expand a business. Ongoing program. More information here. 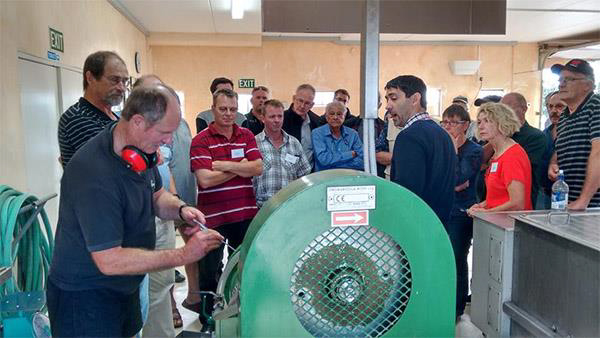 There’s still time to register for Olive NZ’s “How Processing Practice impacts on Quality and Quantity” seminar, being held in Auckland on 9-10 April 2018 and run by internationally-acclaimed expert Pablo Canamasas. Data from a pilot study showed an added benefit from the incorporation of extra virgin olive oil into the diets of men with low-risk prostate cancer. As a result, this dietary modification could lead to weight loss, while also helping the body to absorb compounds with anticancer properties. An Irish start-up is transforming olive waste into animal feed that can potentially make fat “juicier and more flavorsome”. A great concept – as proven by Japan’s “olive beef” producers, who have been using olive waste to produce superior wagyu for a number of years. 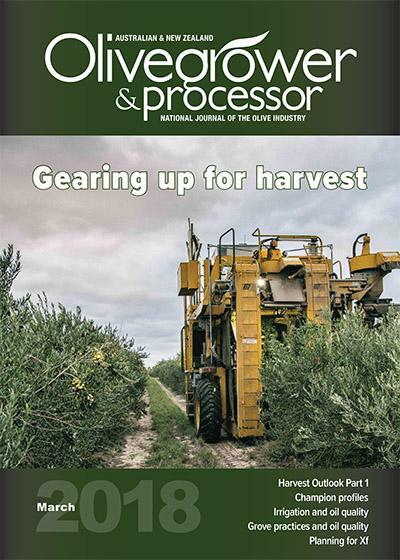 There’s an article on Japan’s olive wagyu in the September 2015 edition of Olivegrower & Processor, available to subscribers online 24/7 at www.olivebiz.com.au. 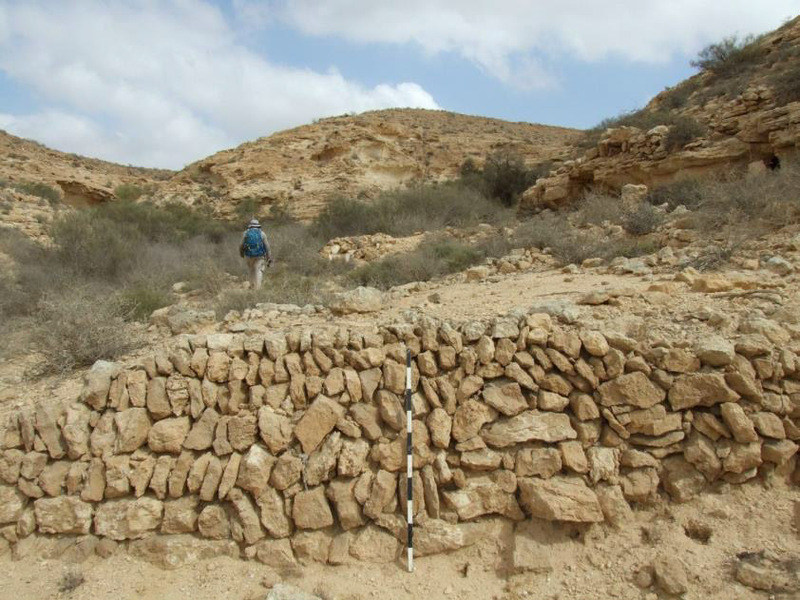 The ancients of Shivta dammed up the Zeitan streambed, to catch every drop of water they possibly could. Dr Yotam Tepper. A few olive trees, some possibly over 1,000 years old, cling to life the heart of the barren Negev – barely. After several winters with even less rain than usual, the olives of ancient Shivta are in horrible shape. Whole branches are dead and bugs are boring in. INCluSilver has awarded London food company, Liquid Vision Innovation, has been awarded €25,000 to develop an optical sensor to improve the quality of olive oil. INCluSilver is an EU funded programme which supports SMEs in developing pioneering ideas in nutrition for those aged over 50. Liquid Vision will develop a smart optical sensor suitable for real-time assessment of the quality of extra virgin olive oil, which is full of health-promoting polyphenols and antioxidants. 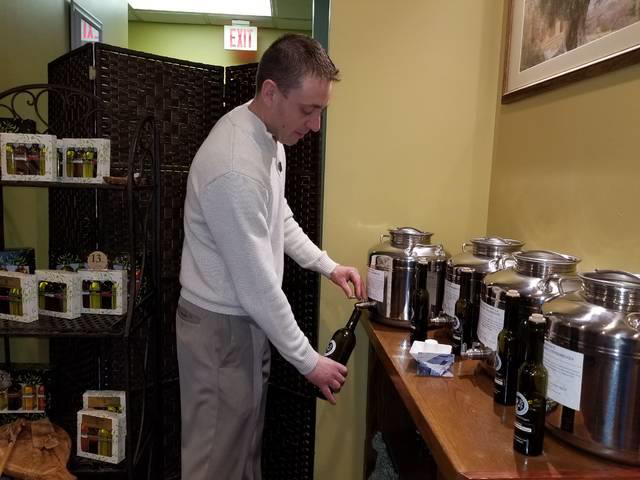 Eugene Litz, owner of Thirteen Olives, refills a customer’s bottle with olive oil. 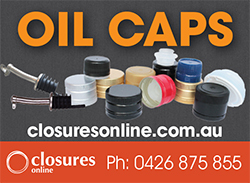 The store’s oils and vinegars are dtispensed from fustis, stainless-steel containers which keep out air and light. Charles Erickson,for Abington Journal. While chatting with a visitor recently inside Thirteen Olives, owner Eugene Litz interrupted himself seven times in 30 minutes to say hello to every person who entered the shop where olive oils and balsamic vinegars are sold. Litz’s belief in the importance of EVOO freshness is what we all love reading about! A team led by two professors, Mercedes del Rio and Francisco Fernandez from the Polytechnic University of Madrid (UPM), has demonstrated that olives kernels can be used to produce sustainable substitutes for construction materials such as aggregates.